Your chance to WIN a H10 Heart Rate Monitor! We are having a contest to get all of our super Mo-Tribe members to sign up with our official Mo-Mentum Fitness App. The contest starts NOW and ends Wednesday, November 23, 2017. We will pick a random winner and announce it Friday, December 1st, 2017. Our winner will receive a Polar H10 Heart Rate Monitor!!! 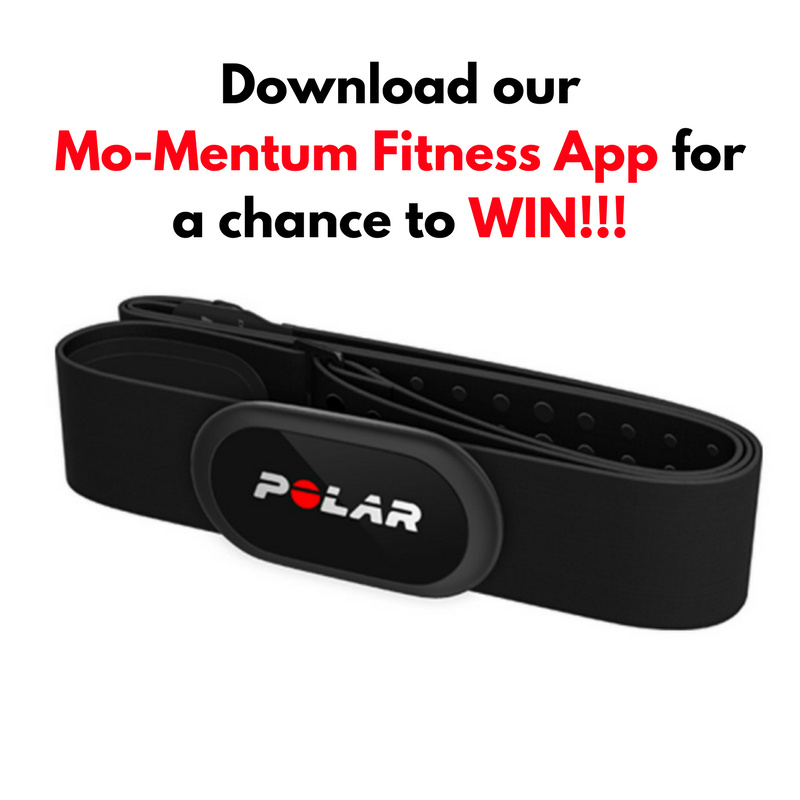 Enter to WIN by downloading our Mo-Mentum Fitness App on your Android or iPhone. If you need any help with password changes, downloading, or any other questions let us know! We are happy to help 🙂 Our Mo-Mentum Fitness App is the perfect way to sign up for classes, track your visits, and manage your account. Some of you Mo-Tribe members don’t like to Pre-sign up for classes….that is fine. You still need to download the app so we can send you any last minute messages if there are changes to classes etc. ALSO, if you sign up for classes and don’t make it YOU WON’T BE CHARGED. However, you do need to sign up for Small group sessions ahead of time no matter what. AND if you can’t make your small group session, you definitely need to cancel that one before so you don’t get charged. Once you have downloaded the app and are logged in, show anyone on Team-Mo and we will enter your name into the drawing. If you have already been using the app let us know and we’ll get your name into the drawing! WoooHooo!